Don't waste valuable time and budget fixing your footage in post! Shoot the effects you want effectively and creatively the first time. This full-color step-by step guide to visual effects cinematography empowers you to plan out and execute visual effects shots on a budget, without falling into the common pitfall of using high-end computer graphics to "fix it in post,” which can be an expensive, drawn out process. Instead, learn how to put your shots together before you start shooting-whether you're working in digital or film. Learn how to effectively photograph and create miniatures, matte paintings, green screen set ups, crowd replication, digital rear projection, and so much more to create elements that will composite together flawlessly. The main purpose of effects is to promote the story, not just to wow an audience with amazing tricks created digitally. This book describes methods for creating seamless effects that don't call attention to themselves but enhance the scene as a whole. 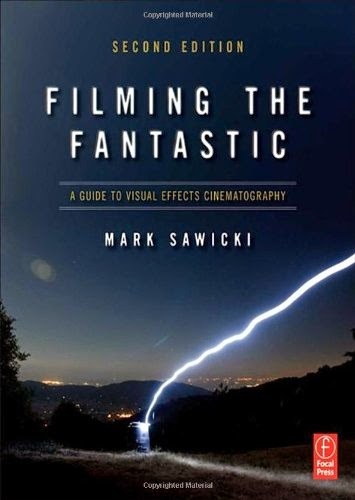 The technical foundations of film and digital capture are given in the introductory chapters of the book, and you are presented with real world scenarios that illustrate these basic concepts in a practical sense. Step-by-step illustrations of photographic element creation empower you to learn how to effectively pre-plan and execute your own visual effects challenges.